US$340bn Megaproject List Points To Major Opportunities For Contractors. Megaprojects worth hundreds of billions of dollars are creating enormous opportunities for contractors..
Megaprojects worth hundreds of billions of dollars are creating enormous opportunities for contractors, sub-contractors, suppliers, and manufacturers in the Middle East. This is one of the suggestions of a new report published by Ventures Onsite, which details the top 30 projects set for construction in the region over the next two decades. 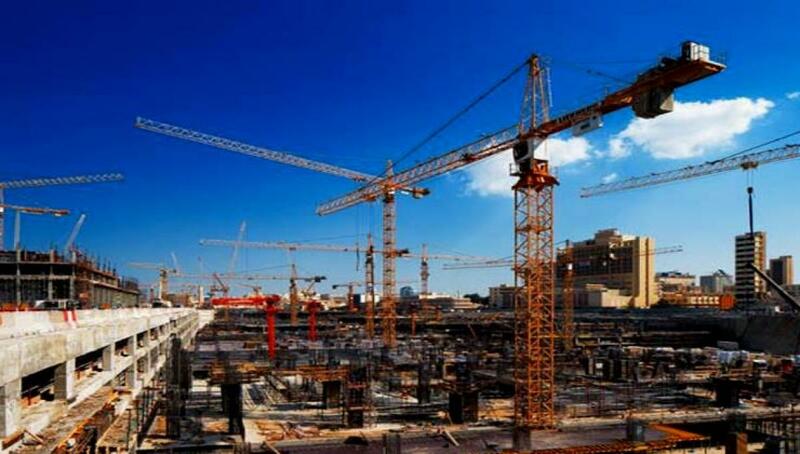 The report entitled ‘GCC Major Building Projects’ also reveals that a third of these major developments have still not appointed a main contractor. “Most projects without contractors are scheduled to start either at the end of the year or the start of next year. So the nature of construction means they are likely to be close to making a decision,” said Andy White, Vice President of dmg events and The Big 5 2015. “Two of the projects in Oman will not begin until 2017, but the demand being generated for building materials and equipment from other projects means the next few months represent an ideal window of opportunity for contractors, suppliers, and manufacturers to secure contracts and source products,” he added. Mohammed Bin Rashid City, a ten-year multibillion dollar project in Dubai, is one of the most expensive projects under construction in the report. The mixed-use project is set to become home to Mall of the World, the world’s largest retail destination, and a family leisure entertainment complex that is being built in partnership with Universal Studios. If all goes to plan it will also host the biggest swimming pool in the world, at 40 acres. However, with a projected cost of over US$100 billion, the most expensive project in the report is the King Abdullah City of Atomic and Renewable Energy in Saudi Arabia. This state-of-the-art sustainable city forms an important part of a region-wide focus on green construction and sustainability and comes with ambitious plans to install 7GW of nuclear power and 41 GW of solar capacity by 2040. It is also expected to develop 20 gigwatts worth of geothermal and wind power, and has established plans to construct 16 nuclear power plants with 17 gigawatts of capacity over the next 20 years, according to the World Nuclear Association, a trade group. Construction of the city is scheduled to start early next year once a main contractor has been appointed, the report said. Meanwhile, the complexity and size of construction projects in the Middle East suggest contractors may need to adapt their business models as the market shifts aggressively towards government-sponsored infrastructure projects. “The GCC has established a reputation for creating some of the most iconic skylines in the world. The projects of the future are likely to be equally impressive, but a change is taking place in the region and the next wave of construction will be infrastructure. This process has already begun and promises to transform the region,” he said. White said the fact the region’s top megaprojects are scheduled for completion between 2016 and the mid-2030’s reflects a long-term perspective towards the built environment that is being guided by governments’ desire to improve quality of life in the region.